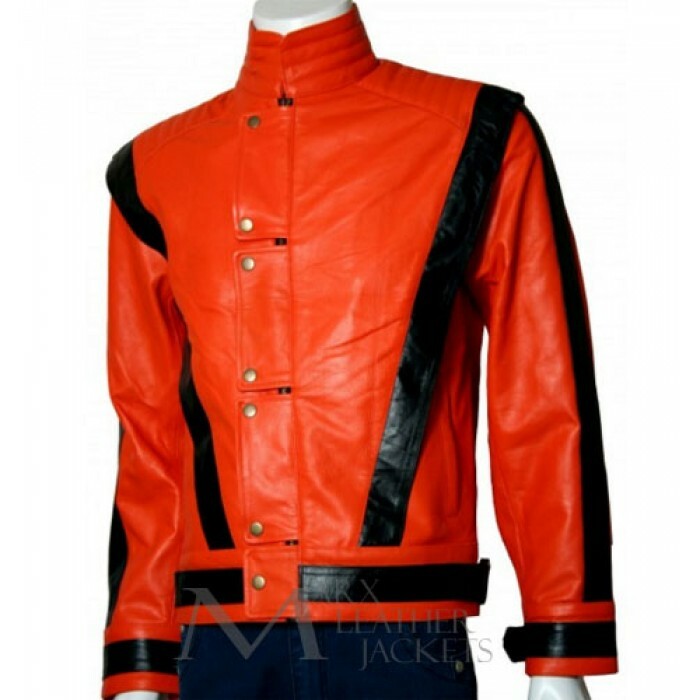 The following Michael Jackson endorsed jacket does not only satisfy the fans but also lives up to their image of their fashion and pop icon Michael Jackson. 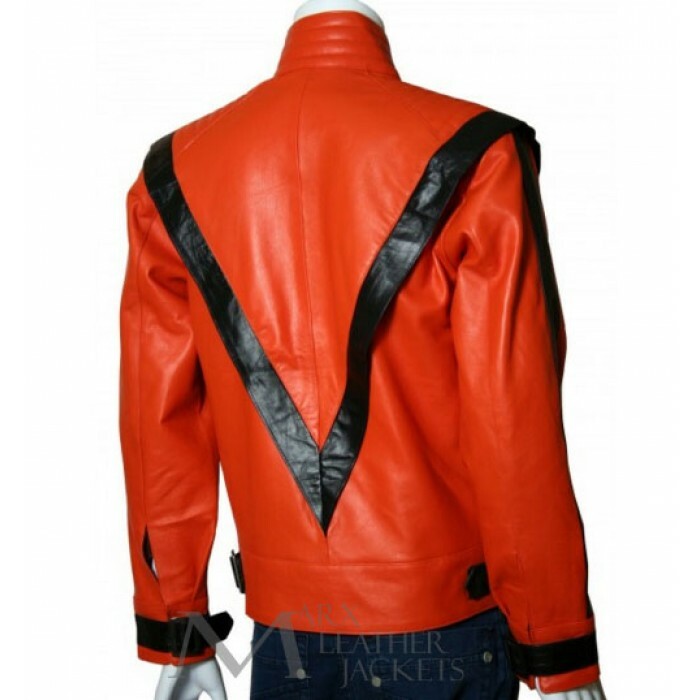 This unique jacket is nothing less than a remainder of the flair and the charisma that he possessed. 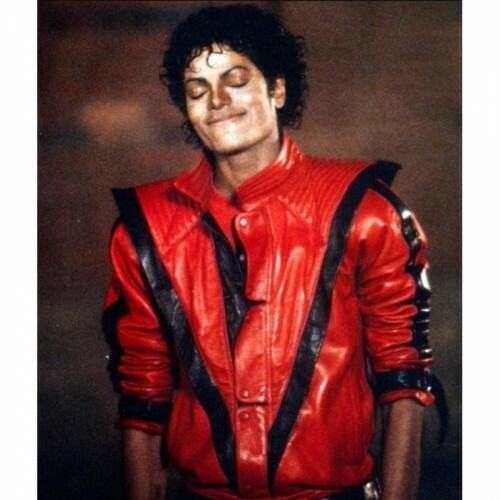 The designer has definitely ensured that whoever wears this jacket is to shine bright just like the pop icon Michael Jackson. Front: high round neck collar with a padded design pattern, which is connected to series of strips that have buttons placed on them and two black strips that join together to form a “V” on the front. Sleeves: Full sleeves with a strip of black on the side and strap belts above the cuffs. Exterior: Made up of original leather. Interior: cozy and comfy to wear.